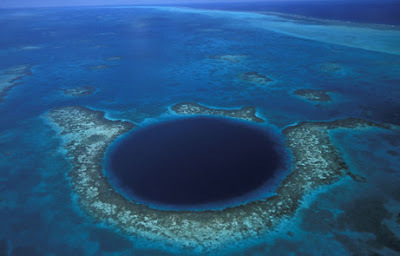 Perfectly circular, 300 metres across and 124 metres deep, the Great Blue Hole at Belize’s Lighthouse Reef is a popular spot among divers looking to get their PADI Deep Diver certificate. Jacques-Yves Cousteau declared it one of the top ten scuba diving sites in the world. The caves here are home to a number of species of shark, as well as elaborate stalactite and breathtaking coral formations. The southern Red Sea is home to a number of spectacular reefs and caves, and St John’s is one of the most impressive. Home to an amazing variety of marine life, as well as a kind of serenity hard to match, St John’s is the perfect focal point for Red Sea liveaboards. Home to a series of intense and fragile cave decorations, as well as some of the most vivid blue you’re likely to see, Mexico’s Blue Abyss is a rare treat for serious divers – and one that few manage to experience. This stretch of the world’s longest cave system, the Sac Aktun in Mexico, is filled with enormous, beautiful cave decorations. It’s perfect for less experienced divers, with easy access, but that makes it no less interesting for even the most hardened and serious of you. ‘Spiritual’ and ‘addictive’ are words that are often used to describe the experience of diving at Chinhoyi. While Zimbabwe might not be everyone’s ideal holiday location, these caves are some of the most special on the planet, offering divers a chance to experience incomparable serenity in caves linked to eons of folklore and myth. Home to the Nereo cave, the largest in the Mediterranean, this complex is home to more than 300 caves, making it the most important diving site in Europe. Combined with the local wine and the warm Sardinian waters, cave diving here is perfect for a relaxing break. Frequent blackouts, ancient animals, and labyrinthine passages: Bahama’s Blue Holes are not for the faint of heart, or the novice. Providing serious diving for serious divers, these caves seem to disappear into an inescapable abyss, but if you make it through, you’ll never forget it. One of the most dived cave networks in the world, with over 30,000 feet of mapped passageways, it’s possible to dedicate your life to diving here and still not see all of it. As part of a resort complex, your trip here will be comfortable and full of amenities that other places might not provide, such as warm showers before the dive. A flooded asbestos mine, this is now a world-renowned technical training venue. With a maximum depth of 55 metres and varying levels of visibility, it is perfect for advanced training. Centuries of tropical rainstorms in this formerly dry cave have led to some of the most unique stalactite formations you’ll ever see in these caves, which are also home to a species of fish not found anywhere else on the planet. Wow this is so cool we want to vacation in the Yucatan Peninsula! The canoles almost look fake!